Undulating curves, organic shapes and gradient stripes give this round vintage Swedish deco rug a brilliant, abstract op-art appearance that is entirely modern. 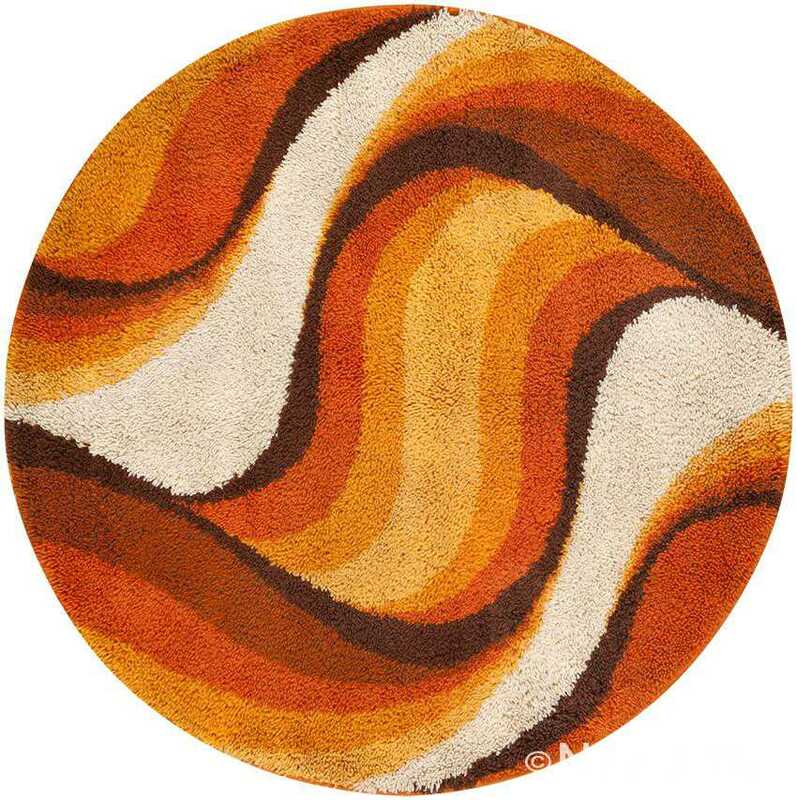 Vintage Swedish Deco Round Rug by Verner Panton, Country of Origin: Scandinavian Rugs, Circa Date: Mid 20th Century – This Swedish rug is a magnificent piece that was designed by the iconic mid-century modern designer – Verner Panton. 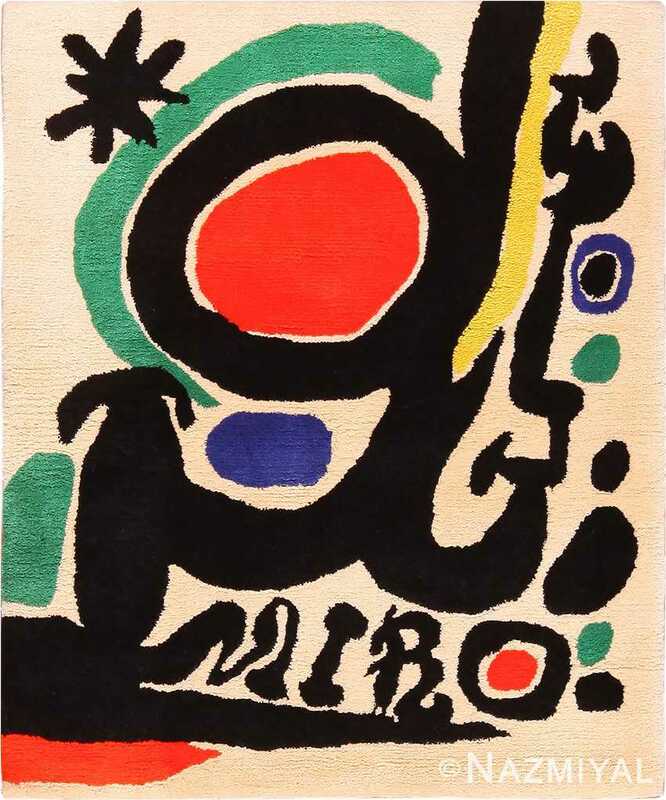 Most intriguing about this carpet is its attribution to Verner Panton – one of the giants of twentieth century design, whose unique and abstract aesthetic had an out-sized impact on the entire world of art and design. 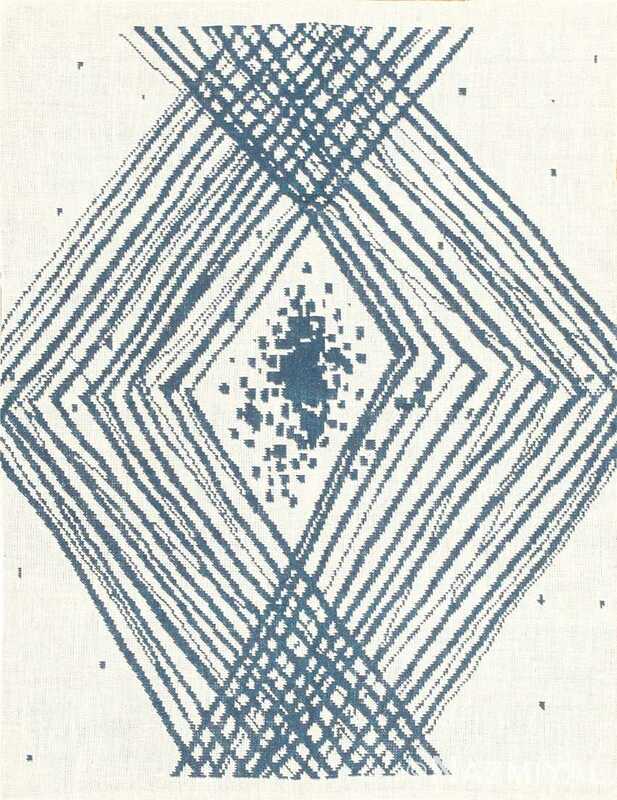 Equal parts retro and modern, this vintage rug from Scandinavia has a stunning round composition with gradient op-art figures that seem to continue to infinity. Layers of undulating waves decorated with poly-chromatic orange-yellow-brown hues create a fabulous marbled allover pattern. The eye-catching colors and playful shapes have a retro mid-century personality reminiscent of the abstract color-packed designs created by the legendary Verner Panton. This versatile shag textured round rug has what it takes to be a dramatic statement piece or a supporting element in a retro home or mid-century space. The radiant colors, sumptuous textures and wild abstract patterns are essential for re-creating an authentic mid-century look. 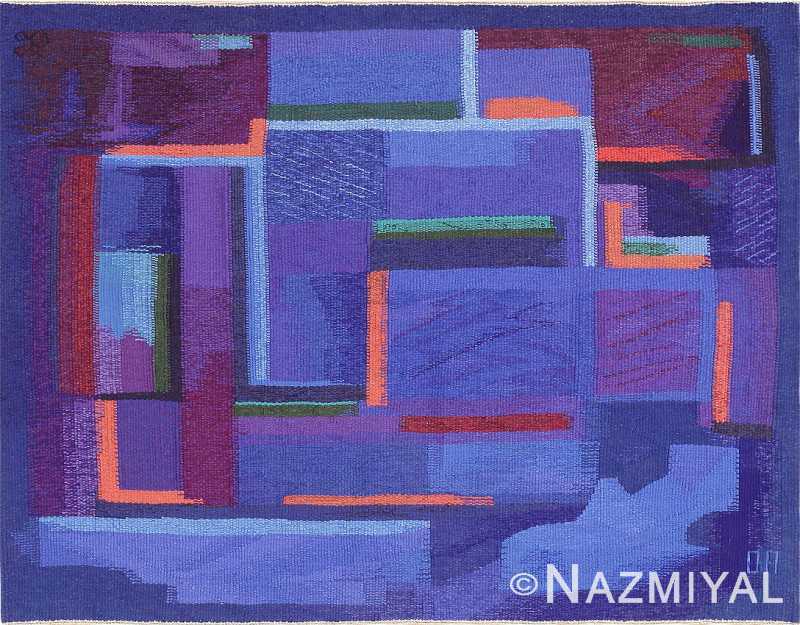 A quintessentially modern carpet, this vintage French rug boasts a soothing pallet of blues and violets.